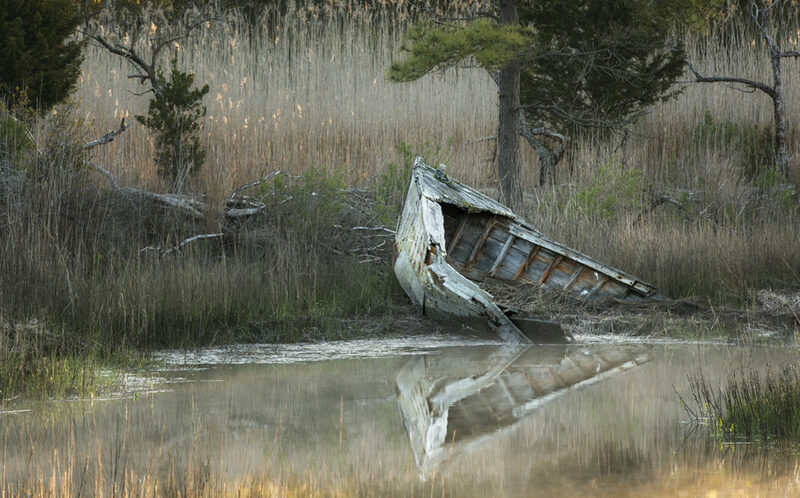 The Eastern Shore of Virginia was one of the earliest colonized areas in North America but, even as late as the 1880s, it remained a fishing and farming region, consisting of farmlands and wetlands, with just a few small, scattered towns. As with so many places in America, the arrival of the railroad changed the complexion of the area. In the late 1870s, the Pennsylvania Railroad served many of the large cities on the east coast. However, on the Delmarva (Delaware-Maryland-Virginia) Peninsula, the railroad only came as far south as Pocomoke City, Maryland, almost 70 miles to the north of where Cape Charles now lies. Two men, William Scott, a congressman from Erie, Pennsylvania, and Alexander Cassatt, then an engineer with the Pennsylvania Railroad, saw the potential that driving the railroad further south held for creating a southern terminus that would facilitate a short, 36-mile sea crossing of the Chesapeake Bay to the thriving economic hub of Norfork and, beyond it, to North Carolina and the coal mining regions of Appalachia. Using Scott’s money and Cassatt’s railway engineering expertise, they built the extension of the railway line from Pocomoke City south and, in so doing, created the town of Cape Charles. From its very conception, Cape Charles was a planned community. The official mapping of the town was completed in 1884. Seven avenues which extend from east to west were named for Virginia statesmen (Jefferson, Washington etc. ), while the streets running north-south were named for fruits (Strawberry, Fig and Nectarine). The original layout of the town is still largely the same today. With the decline of the railroad industry that followed World War II and the increased rerouting of passenger and cargo traffic from rail and sea to road as a result of the opening of the Chesapeake Bay Bridge-Tunnel in 1964, Cape Charles entered a period of prolonged economic decline. 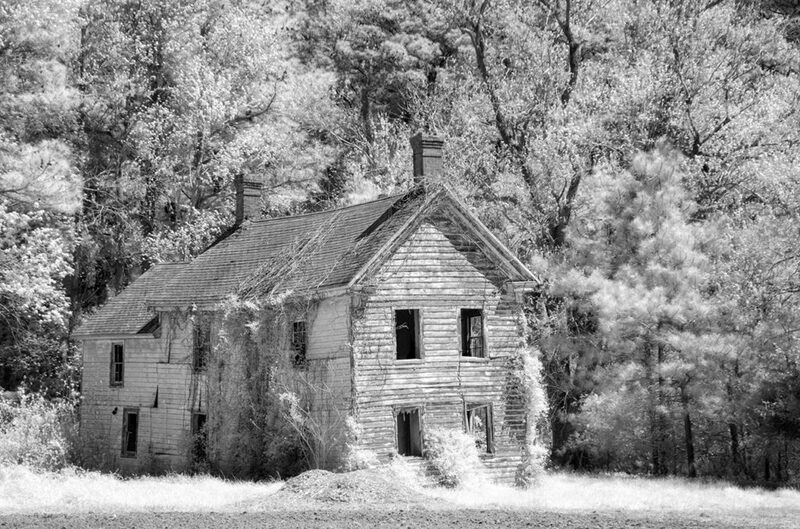 The lasting effects of the downturn can be seen in the many abandoned farmhouses that now litter the landscape outside the town. 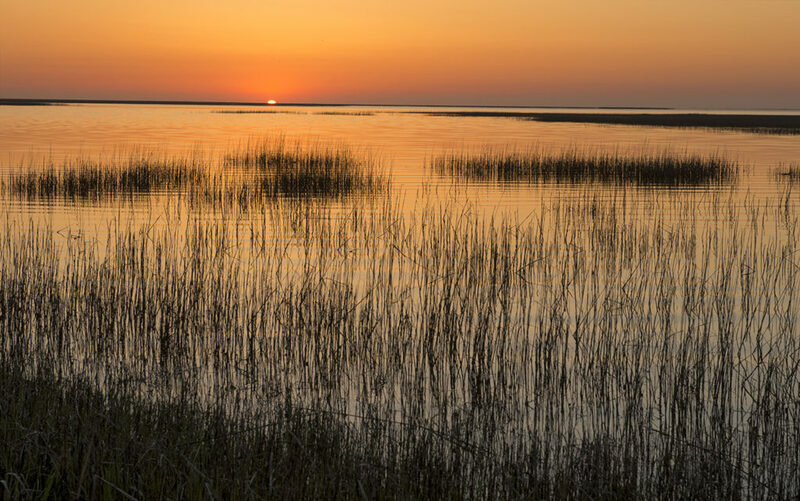 Today, Cape Charles is a picturesque small town with a popular leisure port and a pretty downtown area of quaint shops and elegant, closely-packed houses. At the southern tip of the Delmarva Peninsula, the strip of land is only twelve miles wide and on the eastern side lies the pretty village of Oyster, which affords glorious views of the sun rising over the Atlantic Ocean, filtered through the outer islands strewn across South Bay (lead image). Just north of Cape Charles, across Cherrystone Inlet, lies the Savage Neck Dunes Natural Preserve Area, which faces west, towards the Chesapeake Bay. 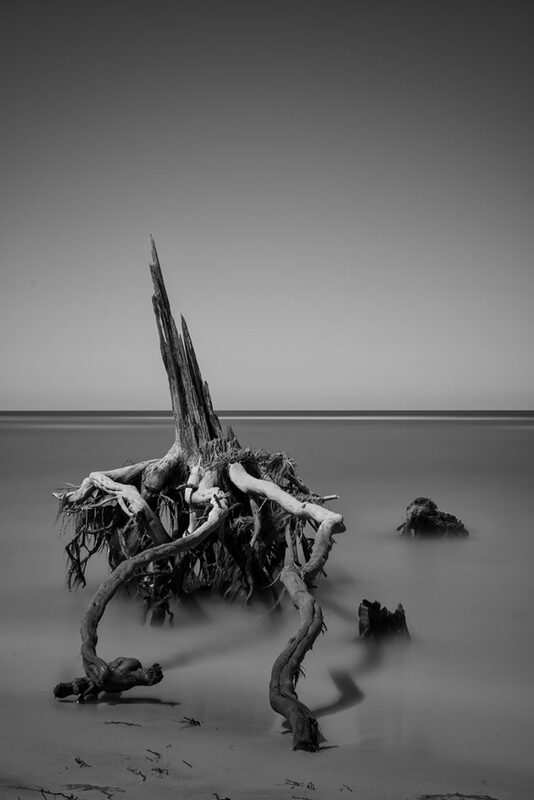 Its wild shoreline, littered with broken tree stumps that shift back and forth in the roiling surf, has an otherworldly eeriness about it (final image). 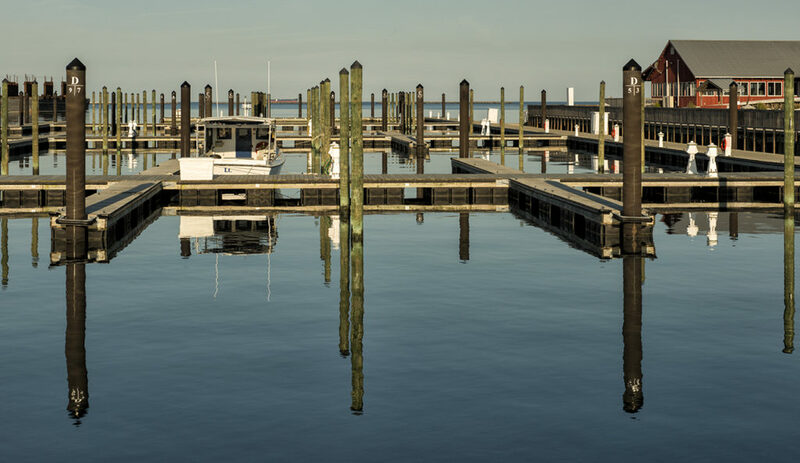 Cape Charles, its surrounding farmland, the shoreline and nearby towns of Oyster and Kiptopeke are fascinating locations to photograph. Genteel townhouses contrast with overgrown farmhouses on the outskirts of town, while the wildness of the shore presents a different face from the manicured prettiness of downtown.